FLECONN can custom molded M12 cable assembly for industry automation, sensor and actuator systems,industry Ethernet connection. 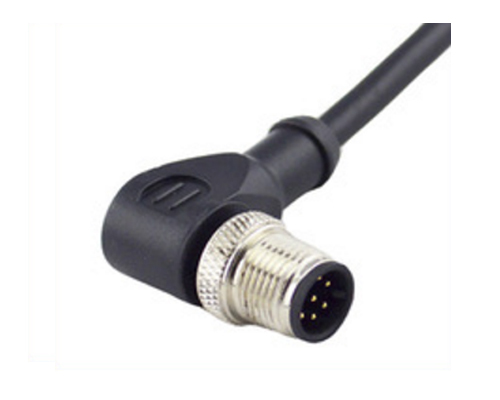 There are 3 pos, 4 pin, 5 pin, 8 pin, 12 position M12 male and female molded cables. 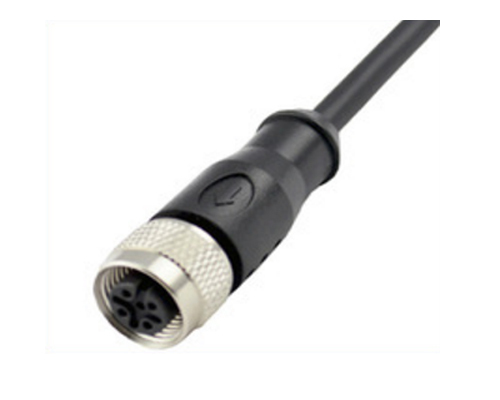 M12 cables & Cordsets have three molding types such as straight, right angle and Y-shape. With the rapid development of industrial automation technology, automation system integrated more and more equipments, including sensors, actuators, etc. These devices need to have a stable and reliable cable to provide power supply and signal transmission, and need to work in the complex environment and with the function of waterproof, dustproof, corrosion resistant. 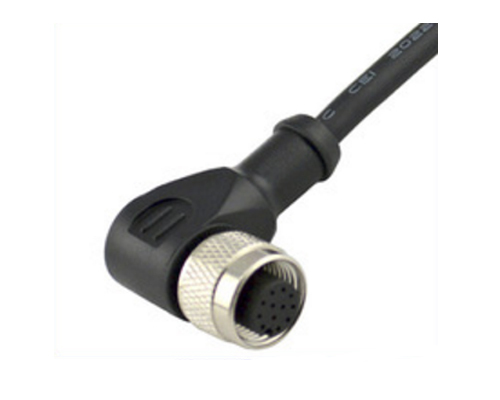 M12 cables are rapidly developed in the case of growing demand. 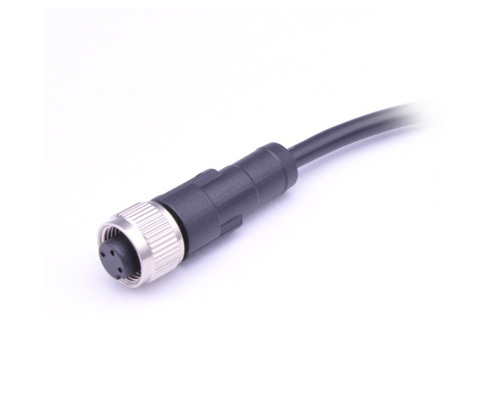 M12 cable can be divided into soldering type, screw terminal type according to the connection methods. According to assembly methods, it can be divided into assembly type,molding type, panel mounting type. According to encoding mode, it can be divided into A coding, B coding, C coding, D coding, P coding, S coding, T coding, X coding. According to the shape, it can be divided into 180 degree straight M12 cable, 90 degrees right angled M12 connector cable, M12 T shape cables, M12 Y shape cables. 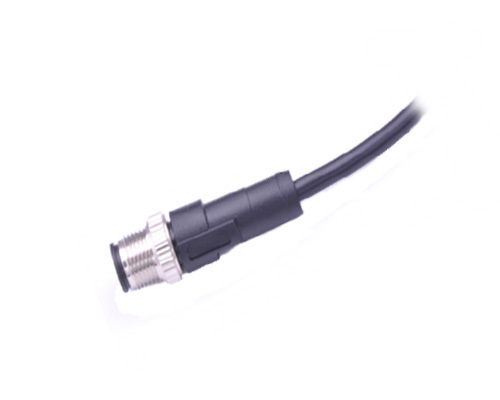 At the same time it is also classified as two types of shielded and un-shielded M12 cable. According to the pin or core number, there are 3 pin, 4 pin, 5 pin, 8 pin, 12 pin or 3 pole, 4 pole, 5 pole, 8 pole, 12 pole. The material of M12 cable jacket has PUR, PVC and so on. FLECONN can custom M12 cables with different types and cable length from our customer requirements. Our products conform to the norms of RoHS, CE, UL and with good quality, reasonable price, fast delivery time. This is M12 male to female extension cable. 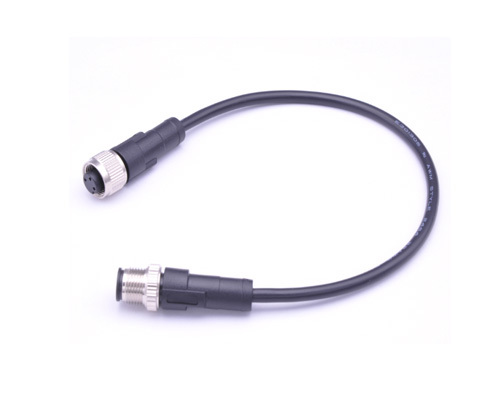 The connectors are 3 pin A Coded IP67 waterproof protection and can be used in harsh industrial environment..
12 position M12 molded cable can be used as multi cores DC cable and signal cable. It is stable to realize or stop the interconnection between various automation equipment or devices and then take convenience for machine repair. As an International Cable Assembly and Harness Supplier, FLECONN are committed to provide perfect quality M12 shielded female sensor cable for world wide clients. M12 sensor/actuator connectors with M12 locking thread can be molded shielded cable and used for industrial automation, process control, and commercial electronics. Connectors have industry-standard A,B,C,D cording. 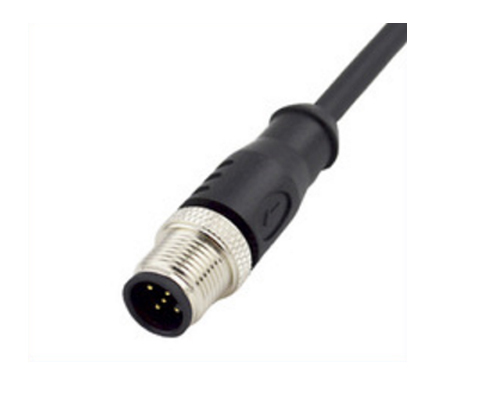 M12 right angled cable may be applied in the fields of various position sensors such as optical position sensors,industrial position sensor,linear position sensor,cylinder position sensor. FLECONN can custom overmolded cordsets for internetional customers. Cable Length has 1m, 2m, 3m, 5m, 8m, 10m etc. 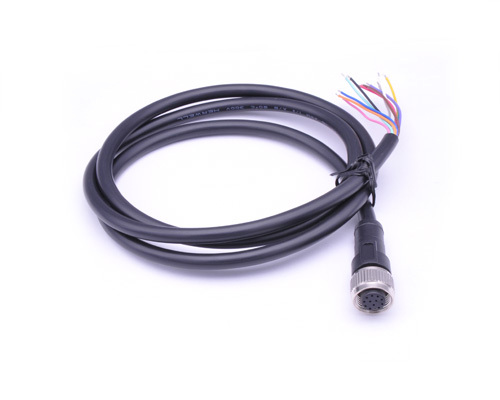 A Coding molded M12 Cable is mainly used in various actuators and sensors such as temperature sensor, heat-sensitive sensor, photosensitive sensor, photoelectric sensor, acoustic sensor etc.